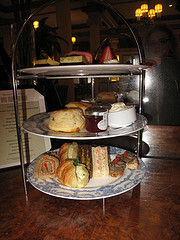 Today’s new place was extra special because dear daughter and I went to the Empress Hotel for afternoon tea. 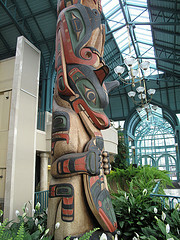 We had tried to do this once before in the summer, but it was impossible to get in. The tea was an experience! Much more refined than our usual Starbucks break with a gorgeous, classic interior and dignified, warm service. 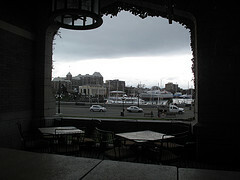 They seated us by the window and we happily visited and watched the city walking by us. There was a pianist for most of the time that we were there. 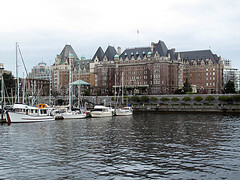 This entry was posted in Canada, Historic Sites, Restaurants, Sit Down Establishments and tagged afternoon tea, BC, Canada, Empress Hotel, Fairmont, historic, scone, Tea, treats, Victoria on April 1, 2011 by admin.